The Chinese table tennis team is receiving a very warm welcome from their local fans after their victorious journey in the 2016 Rio Olympic Games. In all events and competitions that they went, fans always gather to show their support for their idols. These players hope to use their popularity for the further promotion of the sport. These are the cheers of the crowd every time the Chinese Team is in a competition or in an interactive event with their fans after the 2016 Rio Olympic Games. The Chinese Team had a triumphant expedition in Rio after they won all the championship titles in the table tennis event. This isn’t an unusual thing for the strongest team in the world. But this time, obviously, personalities from the sport have increased their popularity. Ma Long, the title holder in the Men’s Singles ranked fifth in the most searched sports personality in Weibo during the Olympic Games. Meanwhile, Zhang Jike, the runner-up of Ma Long got the top spot in such survey. Lastly, both men have been busy with their engagements in different media outfits. Ding Ning, the Olympic champion in the Women’s Singles also felt the increased popularity they got after the Olympic Games. However, she knew that most of the fans were for Ma Long and Zhang Jike. “Probably there are more fans who came for Ma Long and Zhang Jike. 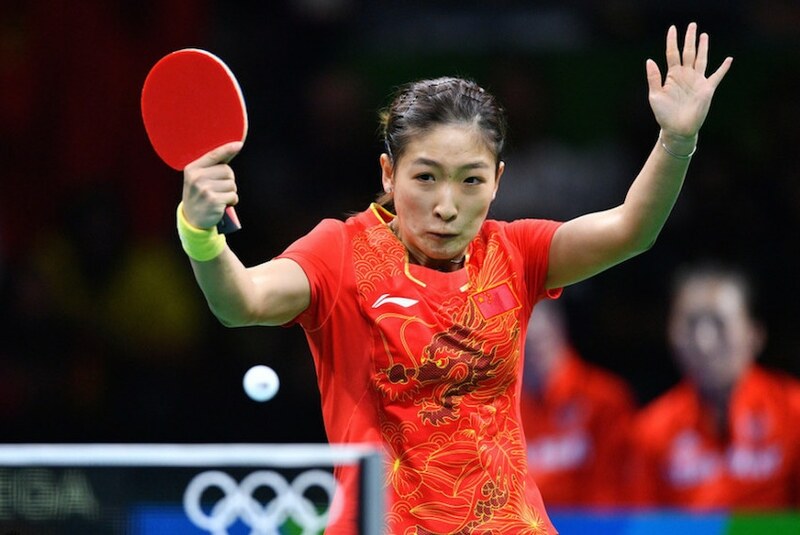 This Olympic Games is very much different than the last one,” said Ding Ning. The Japanese star Ai Fukuhara also contributed to this increased fame. Lately, Fukuhara was in the headlines following her marriage to Chinese Taipei’s Chiang Hung Chieh. Everyone was interested in it. These table tennis stars are very much grateful for the support that they get but there is much more that they want from the fans. That is for the people to put more interest towards the table tennis sport. Liu Shiwen who has a wide fan base in China as well have also noticed their increased fame. The world’s top player in the women’s division said that their increasing popularity is a good thing. However, she hopes that the attention of fans should not just be on the player itself but also to the sport. The Chinese Team, as the front runner, is actually active on their project to promote and develop the table tennis sport. They hope that their popularity, achievements, as well as their efforts, will help them in fulfilling their mission.